The last morning with the cast. The orthopedics waiting room was full of people bracing themselves with canes, crutches, wheelchairs. No scooters, though. The Bloke has been a loyal companion, but one I was glad to banish. And in a way it was sad to say goodbye to the graffiti. I was accustomed to that bit of funky glitter. Gil and I entered what the nurse called the Cast Room. Tools awaited me on the table. 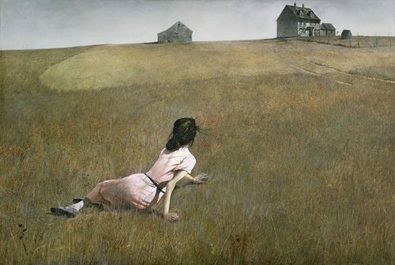 I was thinking about Christina’s World, the Andrew Wyeth painting of a woman in a dress dragging herself up a grassy hillside toward a grey frame house. The portrait, I recently learned, was based on an actual woman named Christina Olson who had polio and eschewed a wheelchair, instead crawling everywhere. Wyeth was inspired when he spotted her on the ground from the upper window of her family’s house. 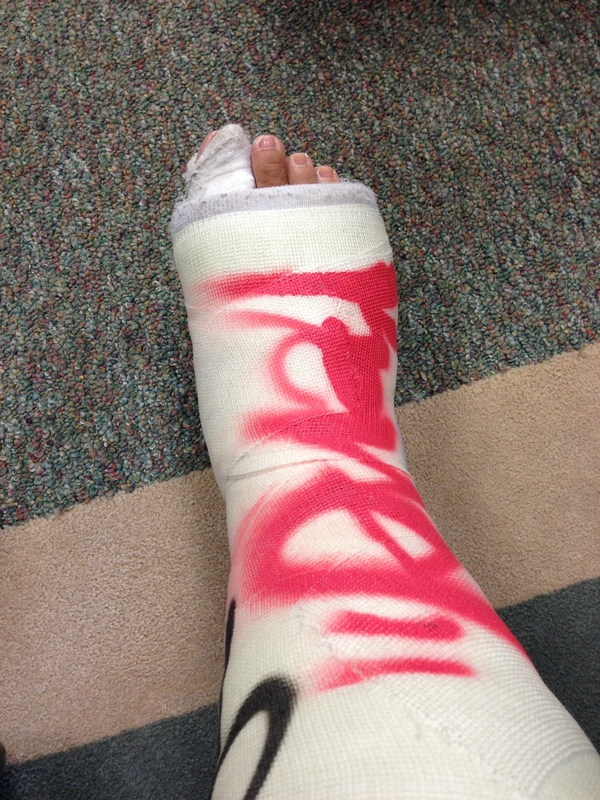 In the Cast Room, I didn’t know what would happen next, but I knew I would not be crawling afterward. I never fully realized until now what it means to not have the use of your leg/s. And I’ve only had six weeks of deprivation! You want so much to go independently, to crawl across a field if like Christina it takes crawling across a field. I could understand that drive. I just wanted to walk across my living room. 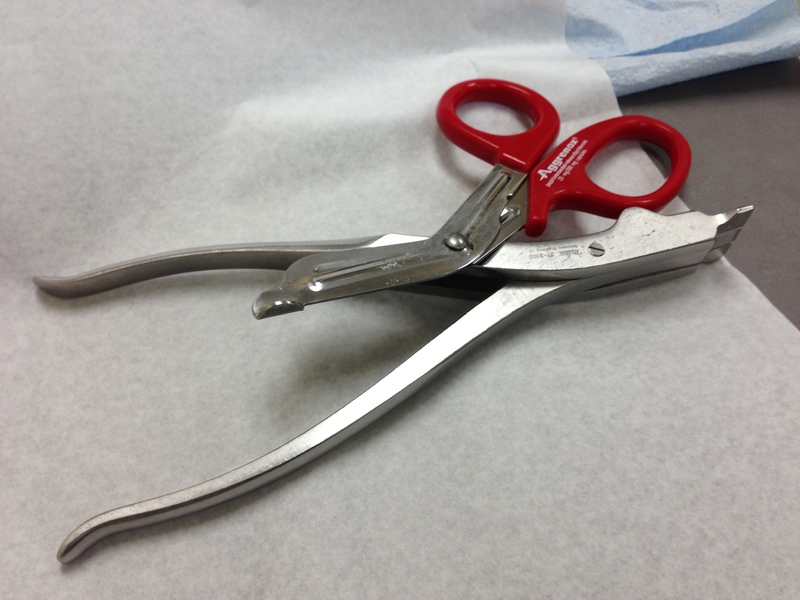 The tool Dr. Voellmicke used to cut my cast neatly in two resembled a delicate jig saw, and I hoped it wouldn’t nick my leg as it buzzed. He clipped off the gauze. My foot and ankle were tender and swollen. There was still purple marker from the surgical incisions. I didn’t recognize the outline of this precious, vulnerable appendage. It was like being born again. 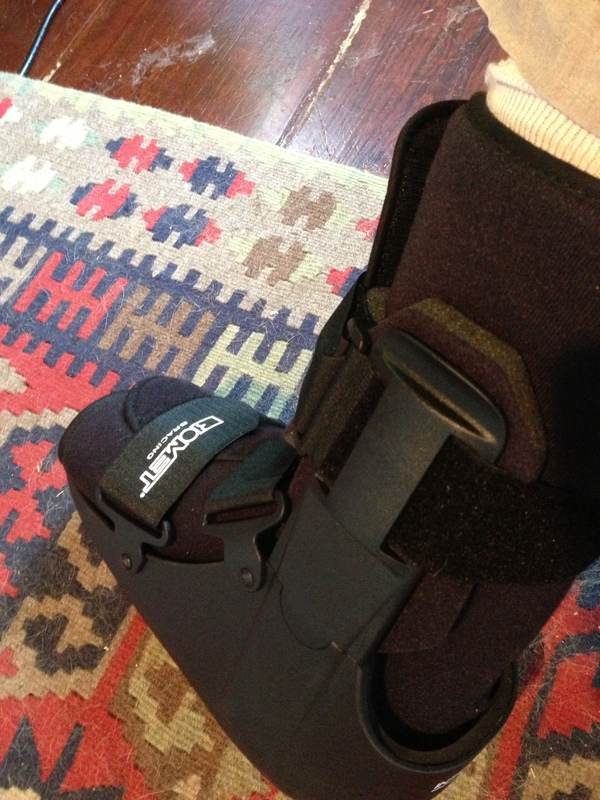 But before my foot and I could really get reacquainted the doctor brought out the Moon Boot, the constant companion that would replace my cast. Now I bounce and rock when I walk. And I would need a cane, the doctor said, at least for now. Can I get a pedicure? I asked the doctor. Not a massage, he said patiently, but a dunk in the water would be okay. A dunk in the water, and then a rocking stroll across the vast reaches of the nail salon. I bet I’m not the first person to ask you that, I said. I think Andrew Wyeth knew. Thanks. Still don’t know how she got down that hill. 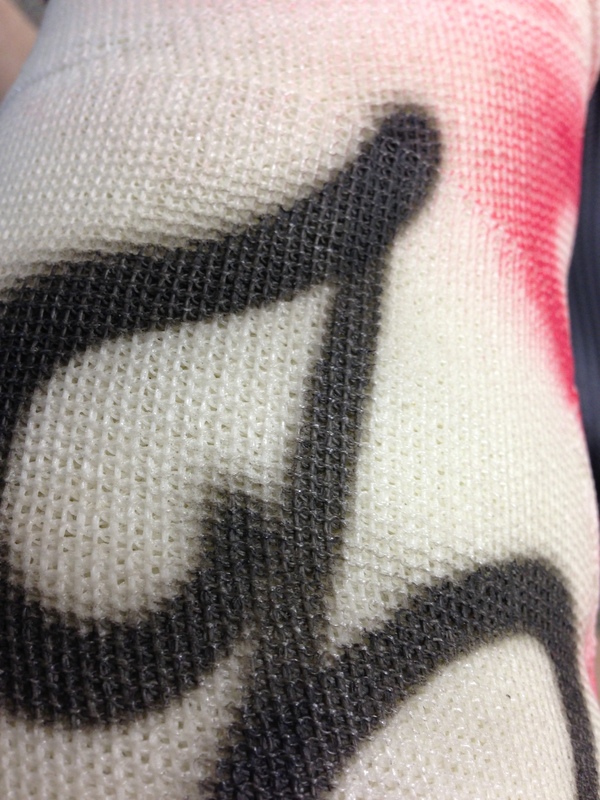 Glad your cast is off Jean! I did not know the story behind that Wyeth painting- how interesting!